Prior to the debate I called for the Scottish Government to increase the number of refugees to be accommodated in Scotland to be at least 2,000 and I was pleased that following a meeting of their refugee taskforce they committed to meeting these numbers. Scotland has led the UK in our response to the refugee crisis and it is important that we continue to do so. That is why I called for the number of refuges to be welcomed in Scotland to be at least double the 1,000 originally announced. I also moved an amendment – that was passed by Parliament – which looks to build on the work of the University of Glasgow in accommodating Syrian students and academics. Studies have been disrupted, jobs and trades lost and carers halted by this crisis. We must look at how we rebuild the lives of refugees and help them to build a better future. We must ensure that refugees that come to Scotland are given more than just a home, they must be given hope of a better future. On Thursday I questioned the First Minister during FMQ’s about the future of the BBC before going on to lead for the Scottish Labour Party in a debate on the Creative Industries in Scotland. We know that the BBC is facing a very tough licence fee settlement and we need to balance being ambitious alongside maintaining quality. That is why I called for an open debate that is led by licence fee payers during FMQs. During the debate I cautioned that I have yet to see evidence that the Scottish public are calling out for a Scottish-only channel and we must ask if such a move is an appropriate use of licence fee payers’ money considering the considerable cost of such a move. Directly after First Minister’s Questions on Thursday I held a debate on the illegal and anti-social use of off-road motorcycles, particularly quad bikes and scramblers. The debate was an opportunity to make the case for action to address the problems we are seeing throughout Fife, particularly the examples I raised in Levenmouth and Kirkcaldy. I have been campaigning for action on this issue for some time and I’m delighted that following my meeting with the Justice Minister earlier this year that he met with Police Scotland and they introduced a new police data management system.This will hopefully aid them in their attempts to tackle the issue of stolen bikes. However, I am clear that more still needs to be done. We need to ensure that our local police have all the relevant tools in their box to deal with this problem, and we must look at what more can be done including looking at compulsory registration. You can watch the debate on the video below, along with a copy of my motion and speech. Since the first conference in 1995 there have been a number of legislative changes to land management, including the abolition of feudal tenure, the agricultural holdings act, the Climate Change Act and the subsequent development of a land use strategy, as well as the introduction of right to roam and the establishment of National Parks. However, despite these changes the challenges of implementation still remain and these are ones we must all address, be that as politicians, campaigners and activists, land owners, managers and users. 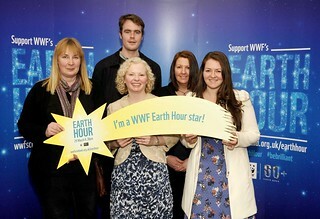 On Thursday I held my members debate on local organisation Greener Kirkcaldy, following the debate we both teamed up to lend our support to WWF’s Earth Hour which takes place on Saturday 29 March. 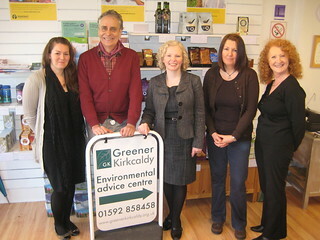 The members’ debate followed my motion submitted following Greener Kirkcaldy’s annual gathering. The community based charity helps locals take action to ensure environmental issues are being tackled both at home and in the wider community. It was great to get the opportunity to support and debate the hard work of Greener Kirkcaldy in the Scottish Parliament and promote their work to other MSPs and the Scottish Government.